The entire c1894 house, including later extensions and the front and back gardens and the surrounding site to the title boundaries. Trees of particular significance are the two Cabbage Tree Palms (Cordyline australis), two Thread Palms (Washingtonia robusta) and four Peppercorns (Schinus molle). The c1894 house is historically and aesthetically significant to the Shire of Nillumbik. The c1900 front garden and the back garden, the two Cabbage Tree Palms, the two Thread Palms and the four Peppercorn trees are historically and aesthetically significant to the Shire of Nillumbik. 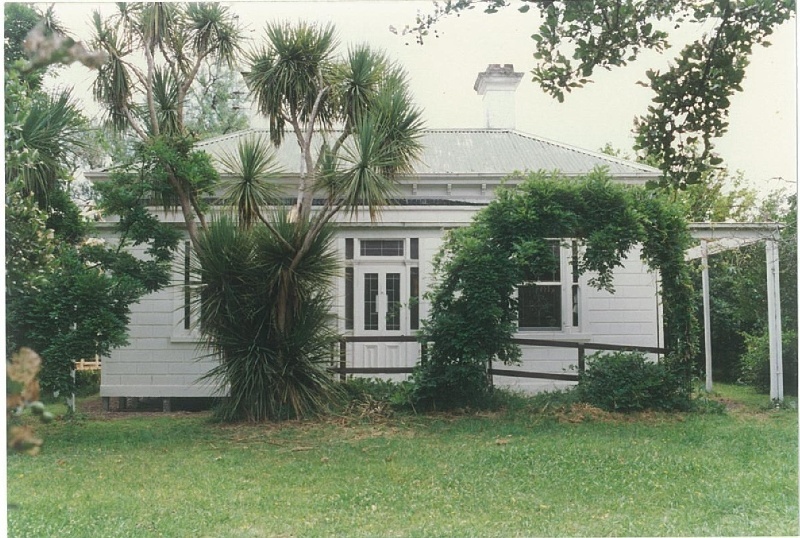 The c1894 house is historically significant because it was built for William Gray (a prominent local figure, politician and orchardist) on the site of the area's pioneering homestead owned by Henry Hurst (after whom Hurst Bridge was named) (Criterion H). The house is historically and aesthetically significant because it is one of the oldest buildings in the area and an example of a standard late 19th century/early 1900s timber home as well as a reminder of the nature of early settlement in the area and the start of Hurstbridge's development (Criteria B, D & E). The c1900 front garden is historically significant because it is associated with both William Gray and Henry Hurst (Criterion H). It is historically and aesthetically significant because the site operated as a commercial nursery and illustrates fashions typical of the late 19th century (Criterion E). The front garden is aesthetically significant because it features formal and informal areas and includes: an ornamental garden arch placed on the axis of the front door and a less formal area to the front of the site, featuring scattered and mixed planting, including two Cabbage Tree Palms and two Thread Palms. The Cabbage Tree Palms are aesthetically significant as the largest such specimens in the Shire (Criterion B). The rear garden is more utilitarian and features informal planting of Peppercorn trees (Criterion E). Design standard late 19th century and 1900s design. Walls timber stud construction with weatherboard cladding. Roof hipped with shallow eaves, corrugated iton clad. Features are the verandah to front (east) and to sides (originally timber posts and floor, replaced post 1974 with a bullnose one, returned to the original straight roof form in 1992; removed timber floor is still to be reconstructed, timber triple windows to front, double hung remainder, simulated rustication to front wall, eaves consoles, pilasters to front triple windows. Remains of brick in-ground water supply tank at rear, pantry section of kitchen demolished in 1991/1992 as part of additions. Interior extensively altered, including cornices fitted in areas which never had them. Corrugated iron shed. Rendered farm building, apparently altered. The garden at Allwood can be best described as having a semi-fromal layout immediately to the front and along the north side. Hawthorns (Crataegus monogyna) are planted on either side of an ornamental garden arch placed on the axis of the front door, which creates a dibision within the front garden. Further to the front of the site the garden is less formal and features scattered and mixed planting, including Palms (Phoenix species), Gum trees (Eucalyptus species) and a variety of shrub planting, which includes the Evergreen Spindle tree (Euonymus japonicus) and Agapanthus (Agapanthus orientalis). The rear of the garden is more utilitarian and features informal planting of Peppercorn trees with some remnant shrubs around the recent vehicle access. The Cabbage Palms are especially large and well developed, with mulitple branching at the base, and are probably the largest examples in the Shire, along with those at Clifden Farm at St. Andrews North. They can be seen on either side of the front door in the surviving early photographs of Allwood; it is assumed that one was moved to the corner of the house at some stage, having regard to its age. Both specimens are 4-5 metres high and in very good condition. The two Thread Palms along the Northern side of the house were part of a longer row of evenly spaced Palms, as evidenced by the remains of two trunks. Both of these Palms are approximately 15-20 metres in height, with fronds about 2 metres long and unusually, do not possess the well developed skirt common to this species. They are in only fair condition and appear to be suffering from the Ivy which is growing to avout halfway up each trunk. Peppercorns were commonly used for shelter and shade trees during the late 19th and early 20th centuries and the informally arranged examples at the rear of Allwoos illustrate this practice, in contrast to the more formal planting of the front garden. These four trees vary in size and are all quite old, with the largestbeing 8-10 metres tall, broad spreading and possibly dating from around 1900. They are in fair to good condition and have a small amount of dead wood in the canopy.